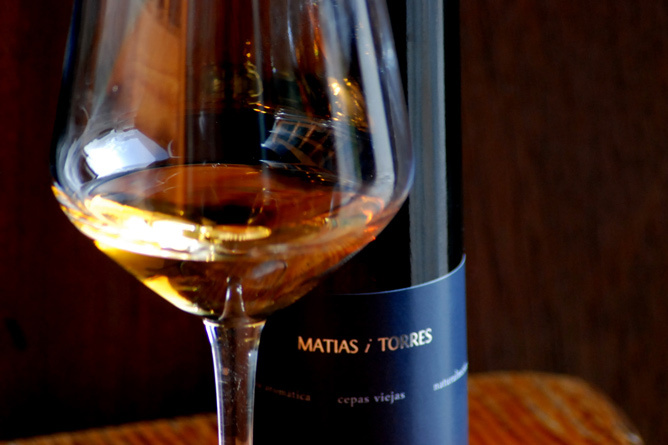 The Bodega Matías i Torres has been family-owned since 1885. Victoria Torres took over the Bodega recently after her father's death. She grew up in the vineyards and winery. Although her parents did not want Victoria to dedicate herself to wine, since 2010 she has been fully involved. Yet, her early stages were not easy at all. 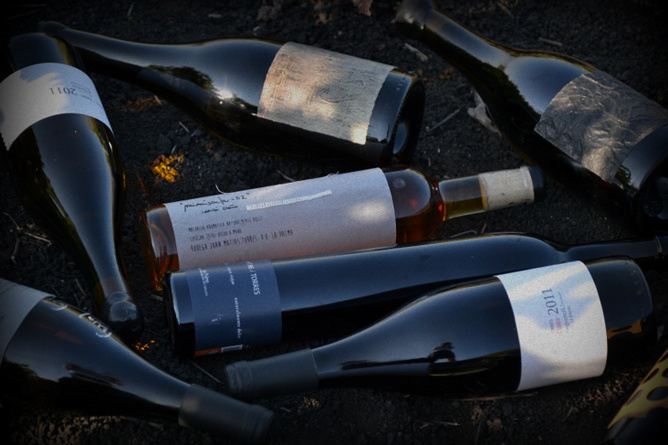 It all started with the vintage in the year after the destructive fire in the community of Fuencaliente. 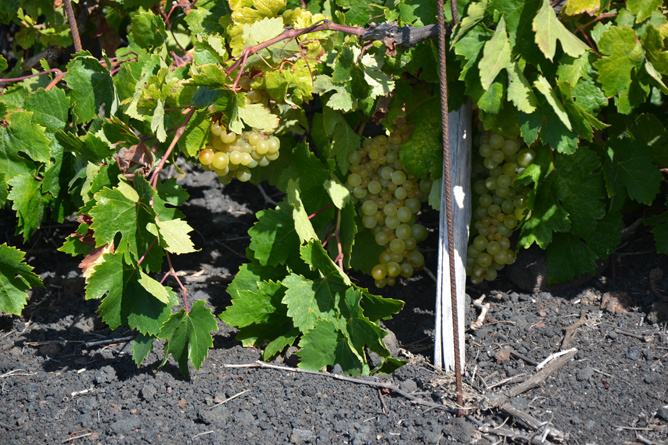 The vines in the Subzona Fuencaliente were affected by the heatwave and there were hardly any grapes. The plants needed a cool rest period followed by a rise in temperature during spring before sprouting. 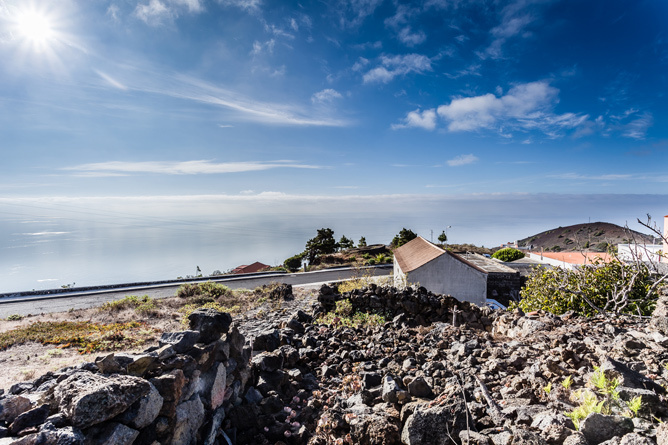 Usually the seasonal changes are perceptible even in the South of La Palma. 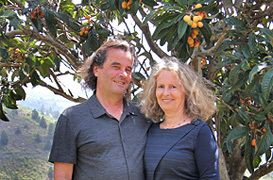 Fortunately the family also owns vineyards in the area of Mazo and Garafía. 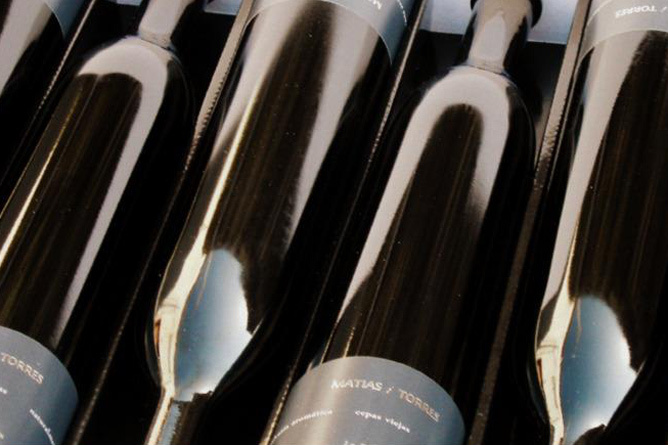 Thus, 560 bottles Albillo Criollo 2010 originating from a vineyard parcelle with grapes from Garafía set the foundation stone of the project „colección minúscula”. 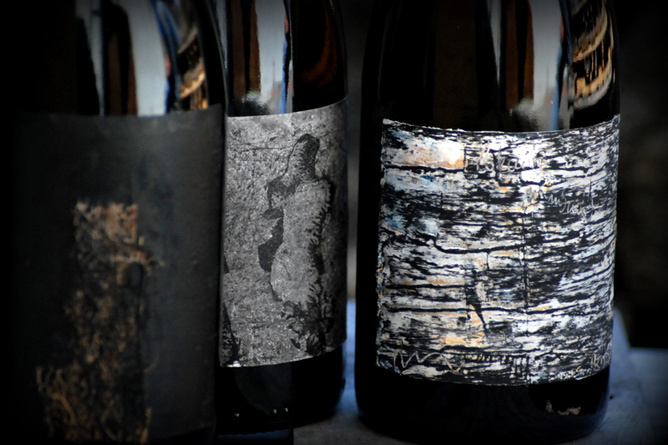 Each wine bottle label is exclusively designed and handmade by Victoria. The second edition was the „Malvasía aromática naturalmente dulce“. Its grapes ripened under harsh conditions in the coastal area of Fuencaliente. It was a small miracle. From this elegant wine 160 bottles have been pressed. 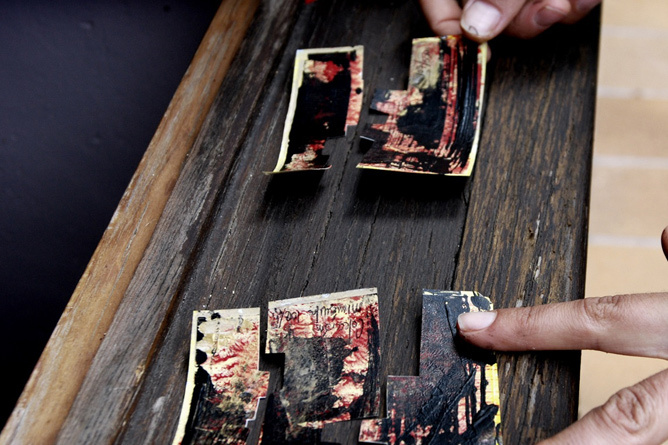 The labels are confected from paper of plants, hand-printed and decorated with embroidery from Victoria’s mother. 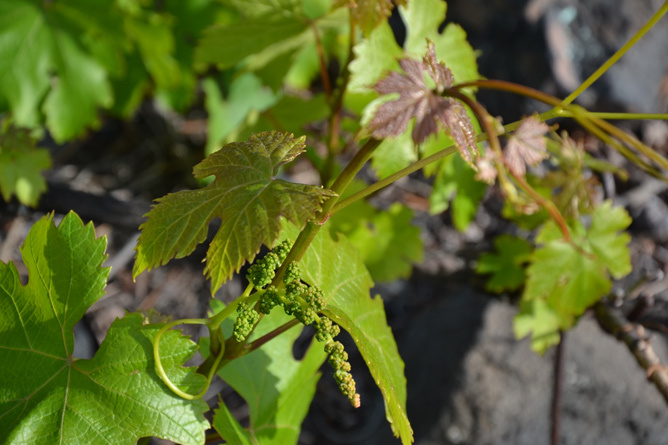 Malvasia grapes are grown in many areas, especially around the Mediterranean Sea. However, Victoria explains, that there is a huge difference in taste compared to the Palmerian grapes. 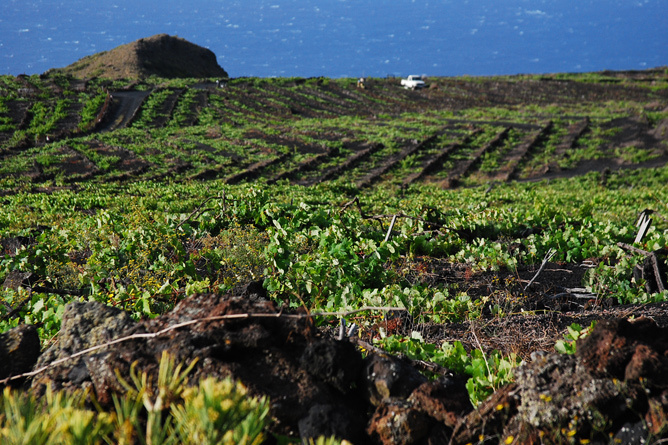 Not without good reason 95% of the island’s wine productions originates from Fuencaliente. The soil and climate conditions are ideal. 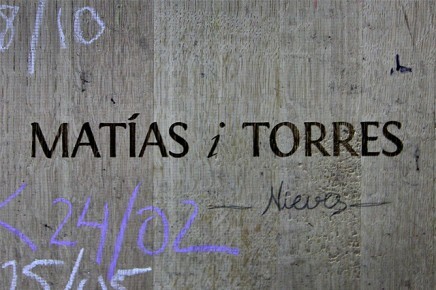 The region where the Malvasia vines of Matías i Torres grow is called Los Llanos Negros, which is a very unique area for the viniculture. It is located between a height of 200 and 400 meters and was formed after the eruption of the volcano San Antonio in 1657. A one to five meter thick layer of volcanic ash covered the soil. This made the men disappear while hole-digging with only their shovels when they broke ground for the first vineyards. Wind blows wherever it pleases, if not from one direction, then from the other. 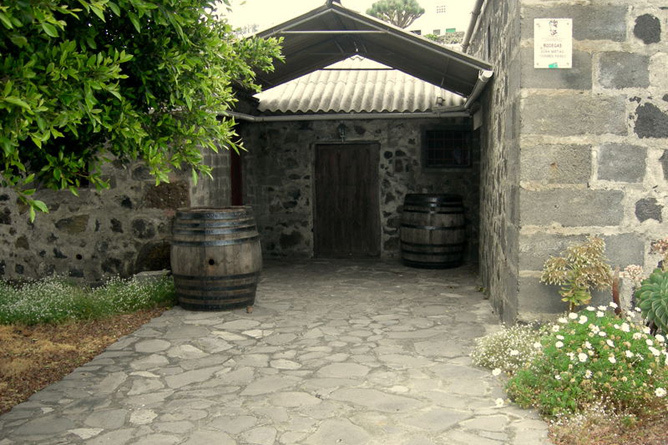 Especially in the area of Las Machuqueras till today the cultivation of wine is performed in a crawling positon. Stone walls and pebbles protect the vines. Just like in the old days. And every year the work of controlling the growth of the fruit rods is repeated. Vines do never grow at the same time and the grapes are not supposed to touch ground. 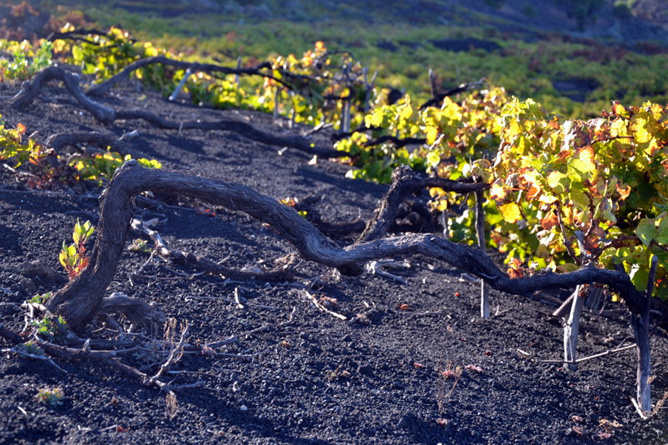 They are the unique types of grape that for centuries have adapted to the climate of the volcanic island. Some vines are younger. 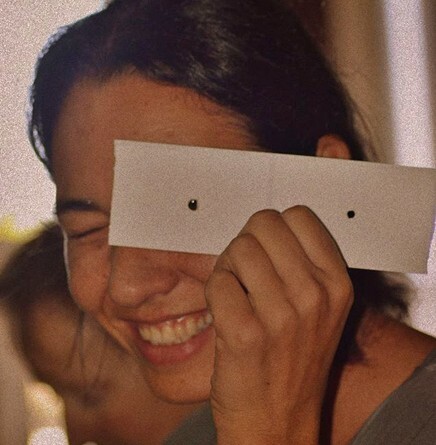 They originate from the “margullos”. For this purpose young shoots grow roots by means of layering, reproducing new, single-origin plants. Grafting is not necessary. Thus, the family harvests grapes in different generations. And Victoria, innovative and adventuresome by nature already has created a „Three Generation’s Wine”. 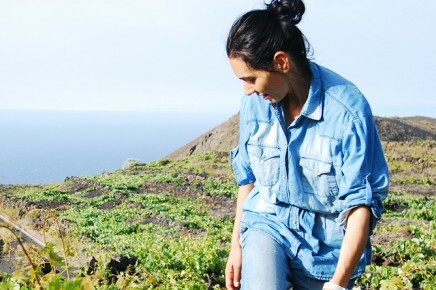 The vintner likes authentic, single-origin wines, underlining that her grapes originate from different cultivation areas and altitudes between 200 and 1,200 meters. 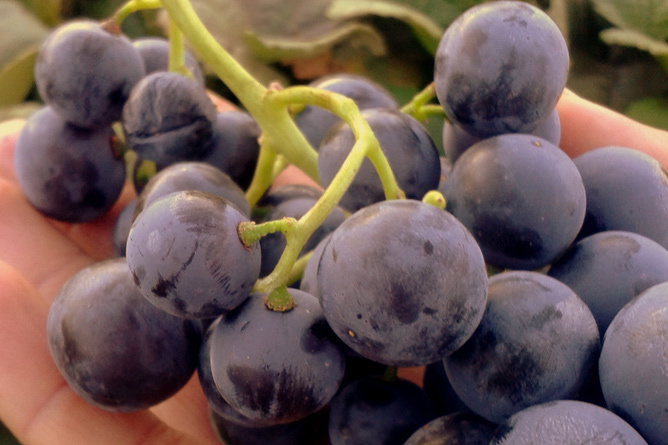 Therefore, grape harvest starts in August and lasts around end of October. 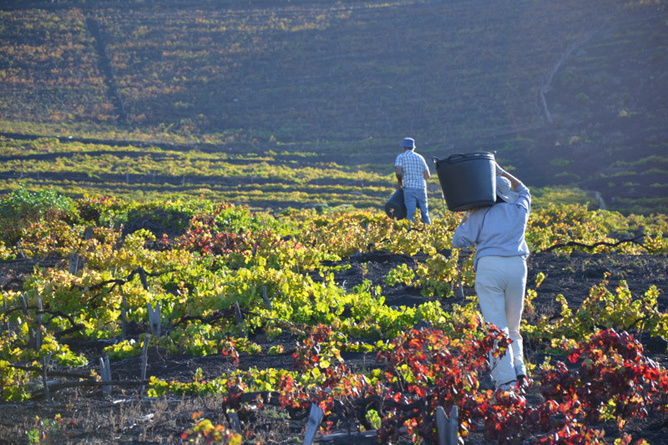 In the north of the island the way of cultivating wine differs from the one in Fuencaliente. The vines are lifted with branch forks (vaso) or vines grow by the technique of espalier. When buying additional grapes originating from the same cultivation areas like their own ones, Victoria has an active influence on the wine makers. The majority of Palmerian vintners are male and have an average age of 60 years. Although Victoria as a young woman is respected in the formerly male dominated field, there are some communication problems. “La Palma is an island in several aspects”. 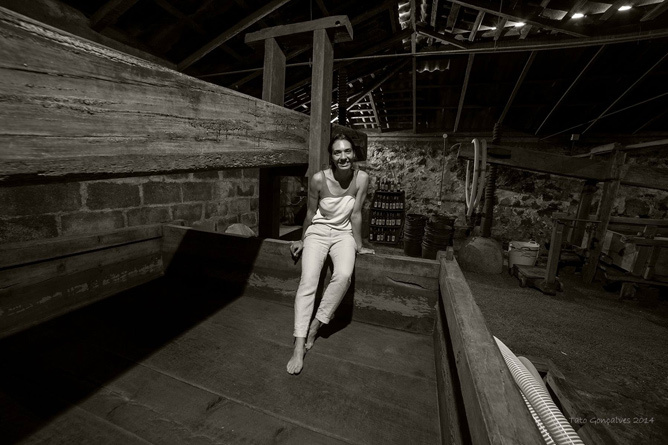 On the contrary, the wine maker and cellar master of the family uses imparted knowledge, her experience but also her sensitiveness and her courage to create new wines. She likes to process the wine of a single parcelle featuring a limited edition. 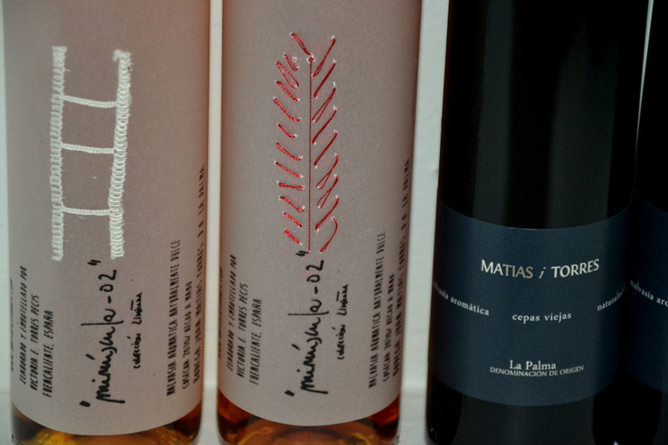 Matías y Torres' range include Albillo along with the gold and silver award winning Malvasia wine and also the white Listán Blanco (3000 bottles), the red Negramoll wine (1800 bottles) and the Rosé Negramoll. 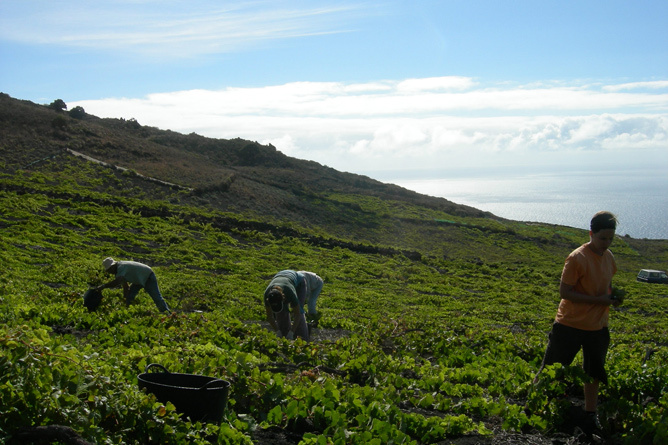 The wines are authenticated by the protected designation of origin and are well known far beyond the borders of La Palma. The Bodega itself appears rather simple at first glance with modern stainless steel tanks. 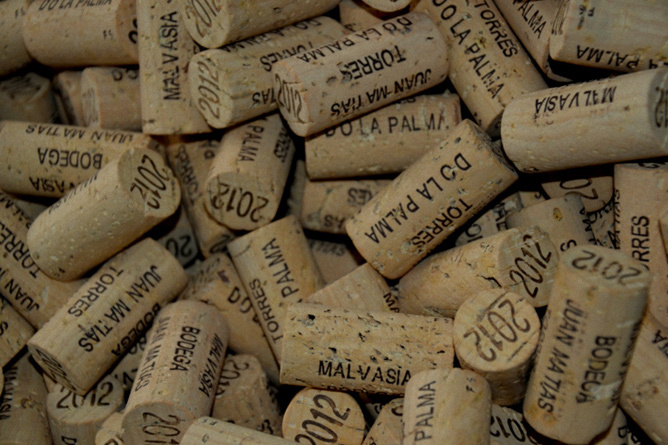 Of course, the corking machine uses natural cork and proves the handmade quality. A few stairs lead up to the building part, which was built in the 20’s of the last century. Barrels made of American and French oak wood are stored there as well as some made of traditional chestnut wood. The journey through time ends in the original building of 1884, where an old wine press and two presses made of Canary pinewood catch attention. In one of them grapes of different harvests are still pressed by foot. 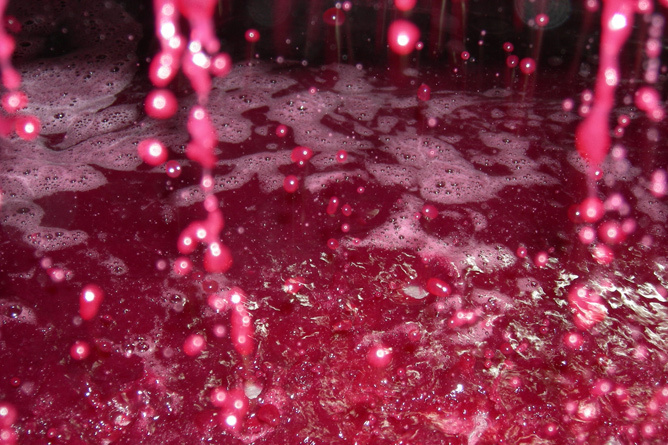 The maceration depends on the type of grapes and their necessary time required. 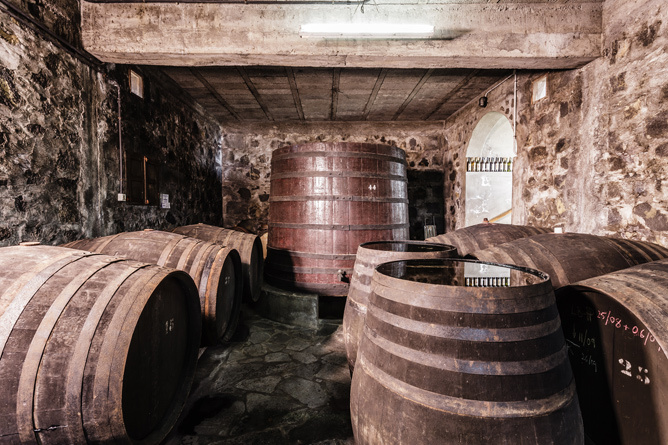 It takes place in the lagar (wine press) followed by the fermentation process in the stainless steel tanks or barrels. Making wine makes her happy, says Victoria. 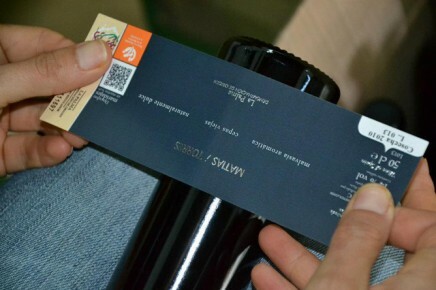 In fact this is also revealed by the taste of her unique drop of wine and the loving design of the handmade labels. If you plan a visit in the tradition-steeped Bodega, please make an appointment in advance. White wine, Albillo from Subzona Norte (north of La Palma). White wine, Bujariego, subzone Fuencaliente. 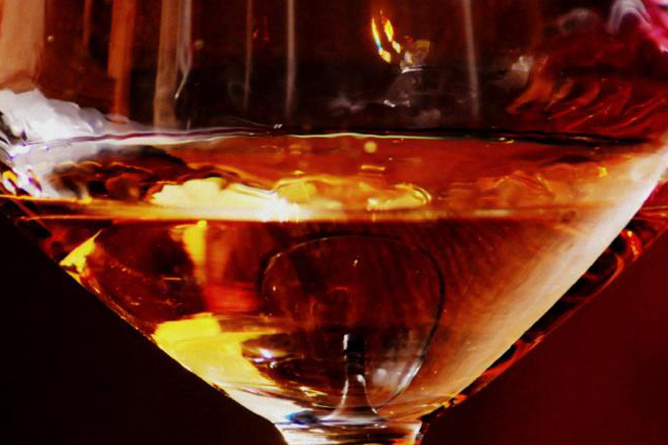 White wine: Listán blanco de Canarias 2014. Redwine made from the "Negramoll" variety. Dry white wine, made from varieties from the subzones Fuencaliente and Norte. 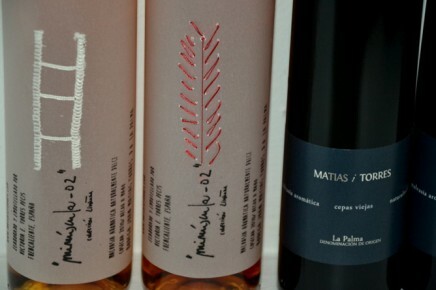 Sweet wine, Malvasía, subzone Fuencaliente. gallery / accessories / shop / crafts. In the midst of the Salines you find the Theme Restaurant, whose name refers to "salt garden".